We stayed at the George Jones Memorial Farm with an old high school friend just outside of Oberlin. They grow veggies for City Fresh, a CSA that feeds NE Ohio. 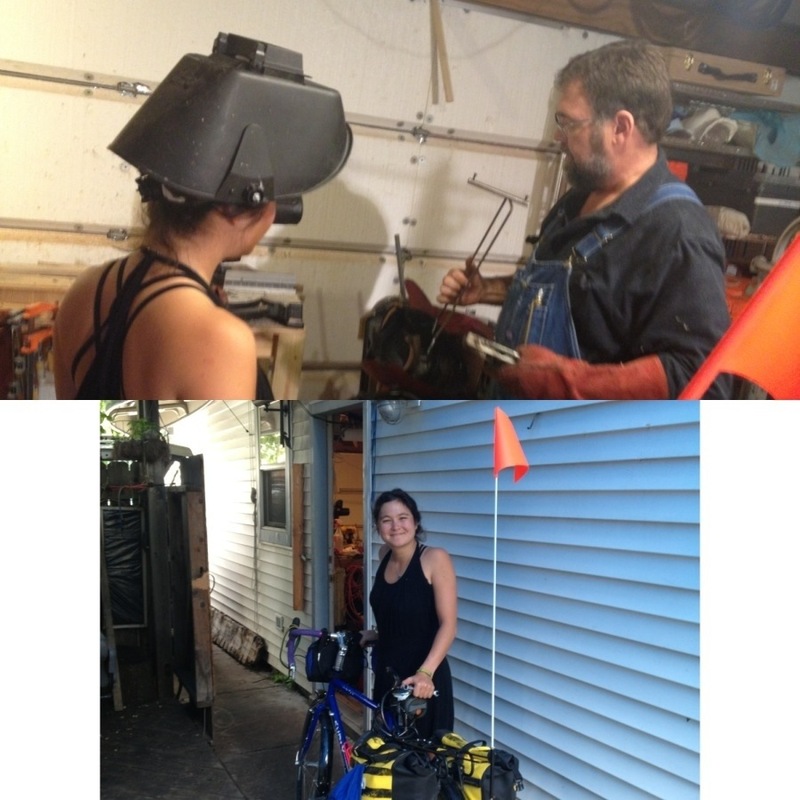 Cousin Geoff helped weld a bracket for my safety flag in Chicago–safety first! 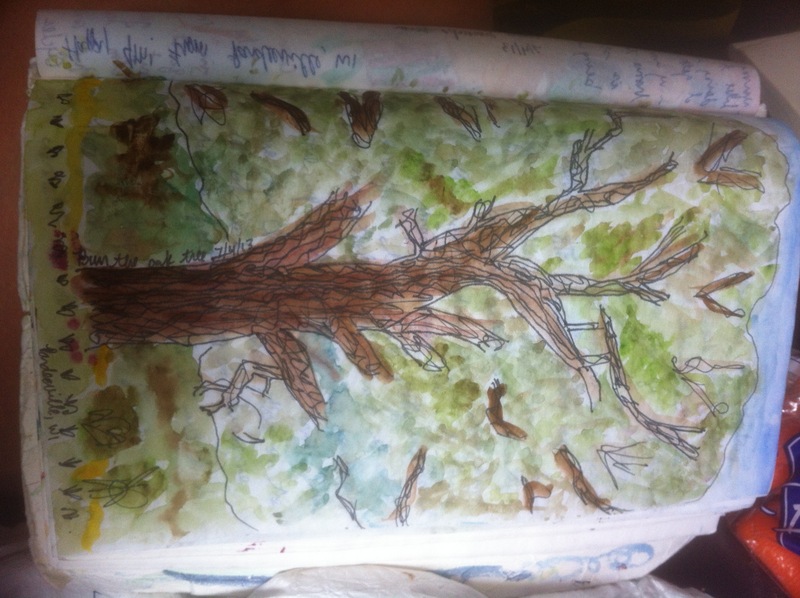 The Burr Oak tree at Owen’s uncle’s farm in Pardeeville, Wisconsin. 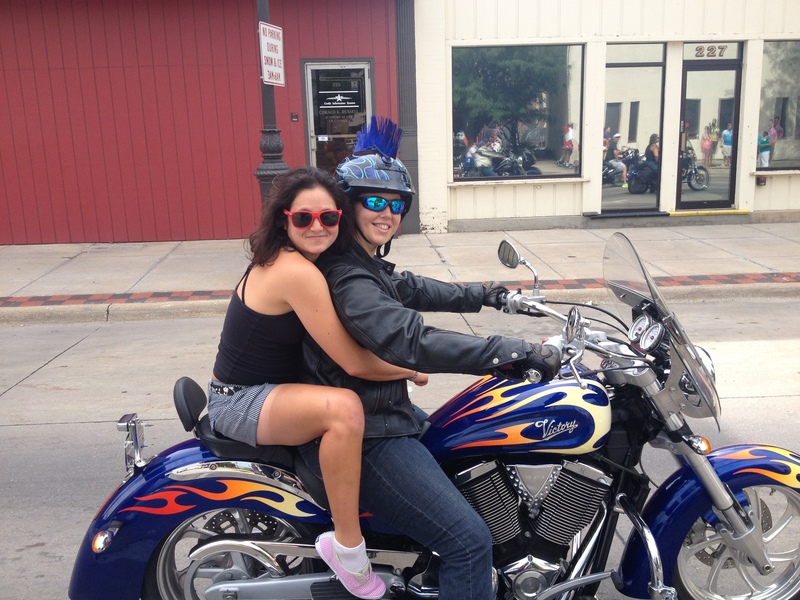 From Chicago, we got a ride to Wisconsin and spent the 4th of July with family. 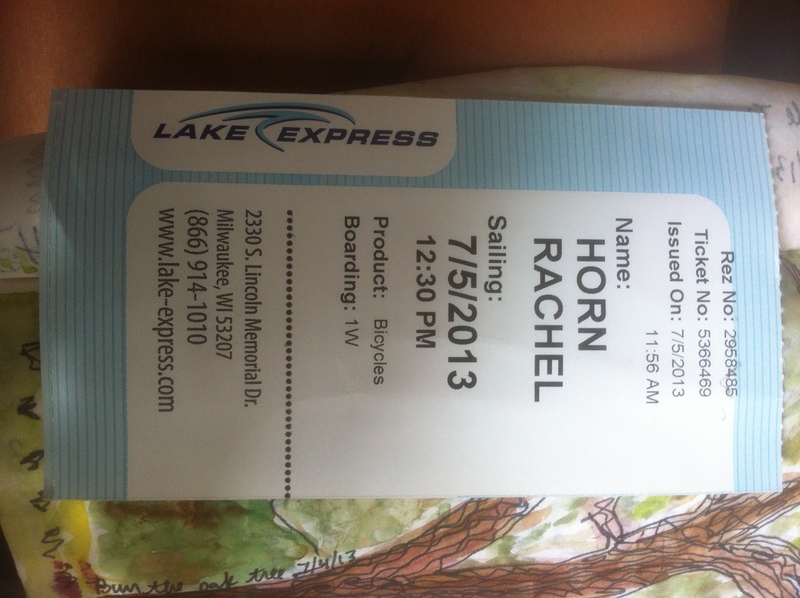 Then, we took the ferry across Lake Michigan to Muskegon, MI. And we started biking again from there! Ann Arbor was a great discussion. 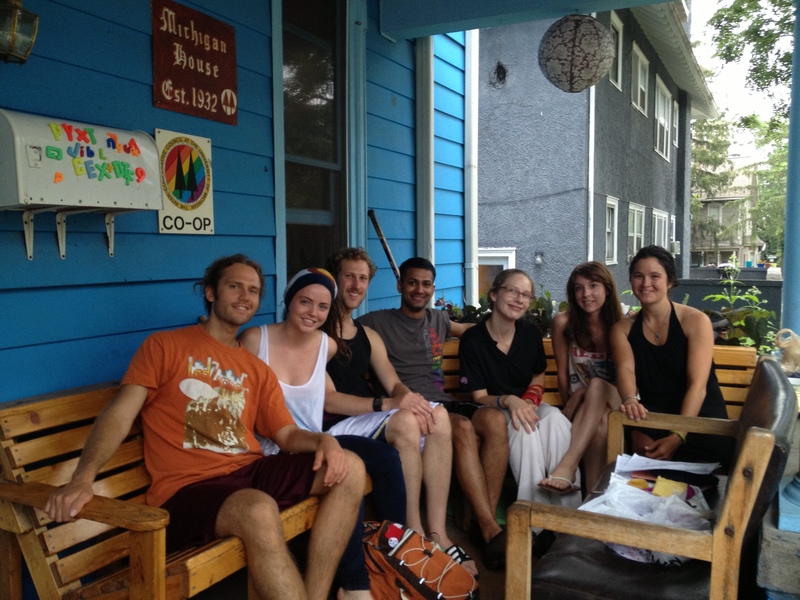 The people at Mich House (part of the Ann Arbor Student Co ops) were so hospitable! Shower, snacks, and a great time. Heartland Gay Pride Parade in Omaha. 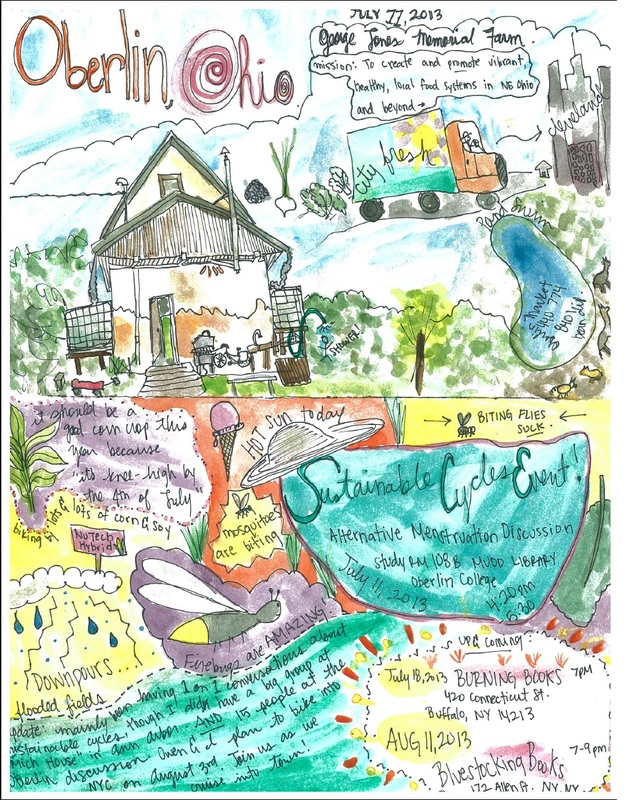 A few weeks ago, Sustainable Cycles got written up in the New York Village Voice. Read the article here. 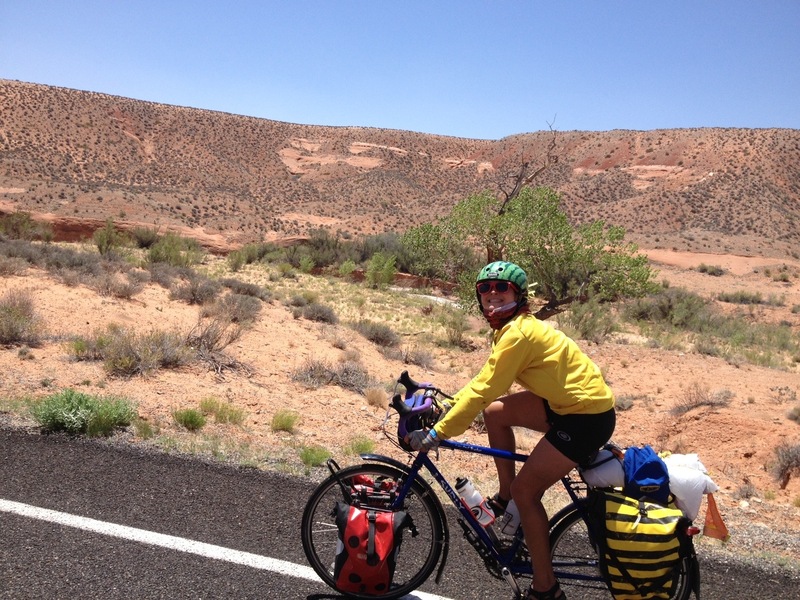 People are overall stoked about this project as I continue along on this bike ride. I have given cups away at organized events and during random conversations with hosts and people on the street. Some have expressed interest in becoming ‘spokespeople’ for alternative menstruation, and one person wants to ride for Sustainable Cycles next summer! Hi from humid Ohio. As I have now thoroughly proven, updating the blog is hard for me!! I am still not at a computer, but I will be when I get to Cleveland in a few days. Here are some sneak peak photos, and I will explain in further detail at said future point in time. Exciting things are happening. Event planned in Oberlin and in Buffalo. And in NYC! Details to come. I sit in Chris’s childhood home in Omaha, Nebraska. 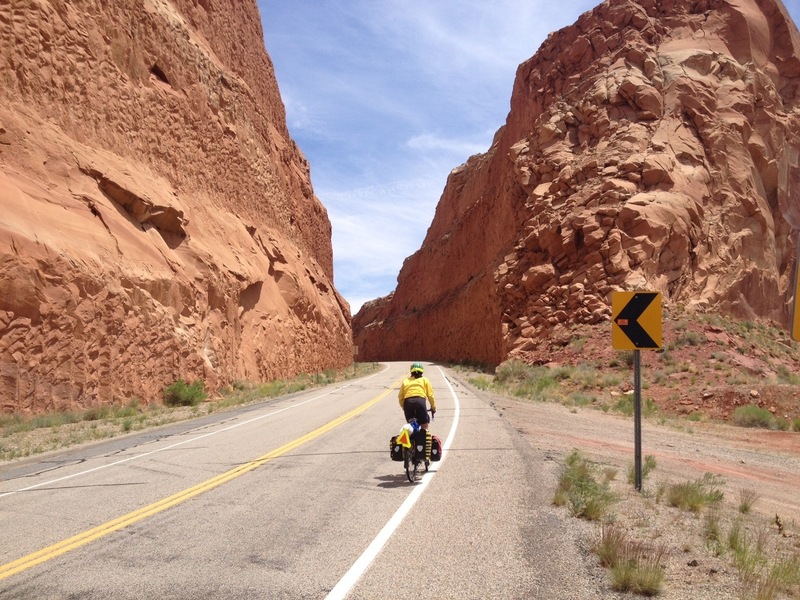 (Chris is the lone biker we’ve been teamed up with since Baker, Nevada). Owen and I biked in yesterday from Lincoln, where we spent a couple of days with a friend of a friend. 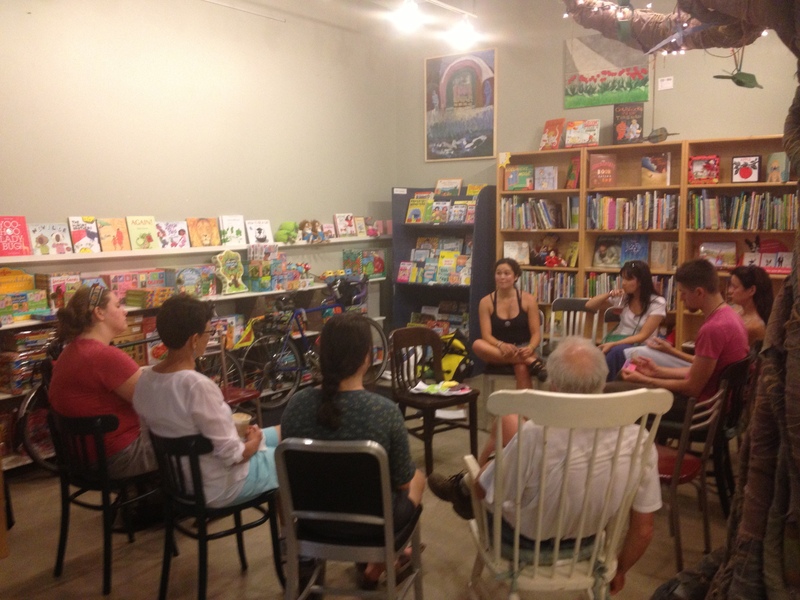 I held an event at the Indigo Bridge Book Store in a cool part of town. This event was attended by the highest number of male people so far–3! We all circled up and passed around sponges, cups, and cloth pads. Two people were already cup users, but the rest were very new to the idea. 3 women left with new DivaCups to try! Discussing female anatomy. It’s good to have different sexes in the event to give some perspective. An incredible man and incredible cook! 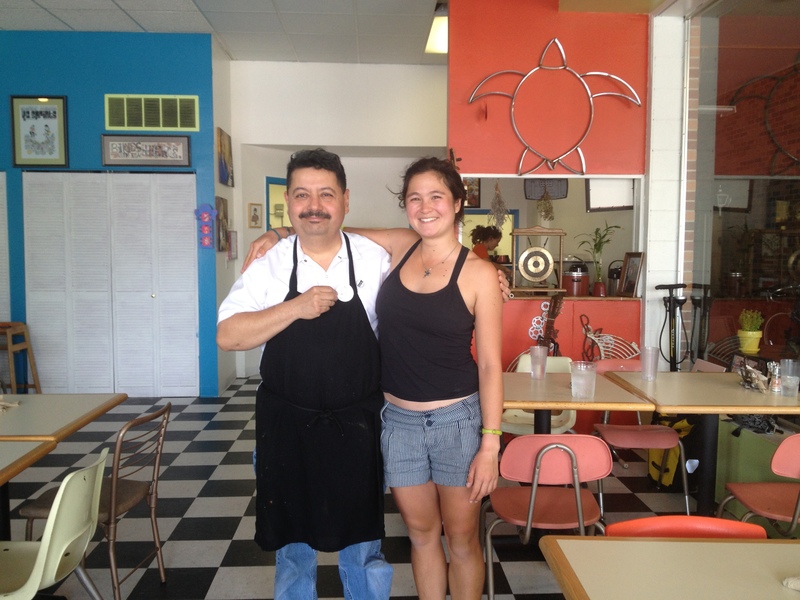 Pepe of Pepe’s Bistro treated us to a delicious vegetarian meal just because he heard we were biking cross country. He helped to start the Lincoln Bicycle Kitchen, an awesome fix-it-yourself bike shop. A great place to go fix your bike! 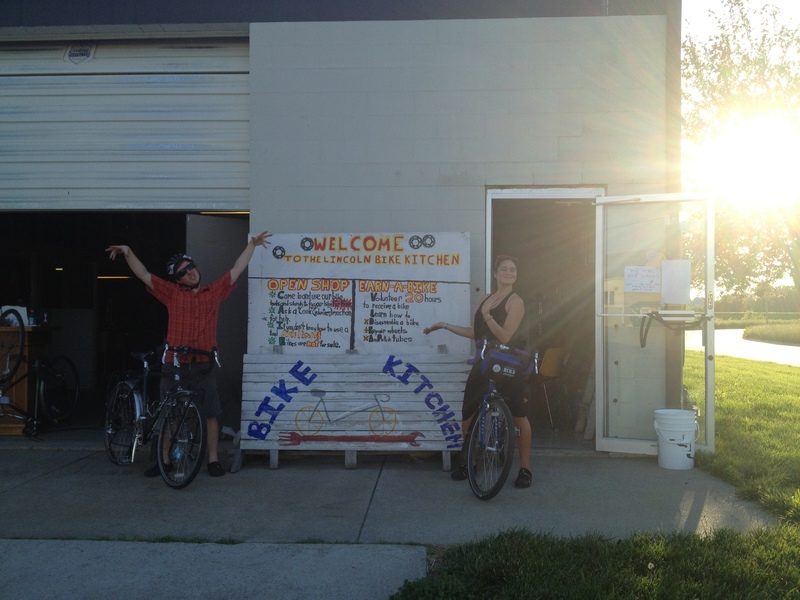 The Lincoln Bike Kitchen. We got to clean up and tune up for free, wahoo. If all goes according to plan, we’ll be in Chicago in one week. You’ll hear from me then! 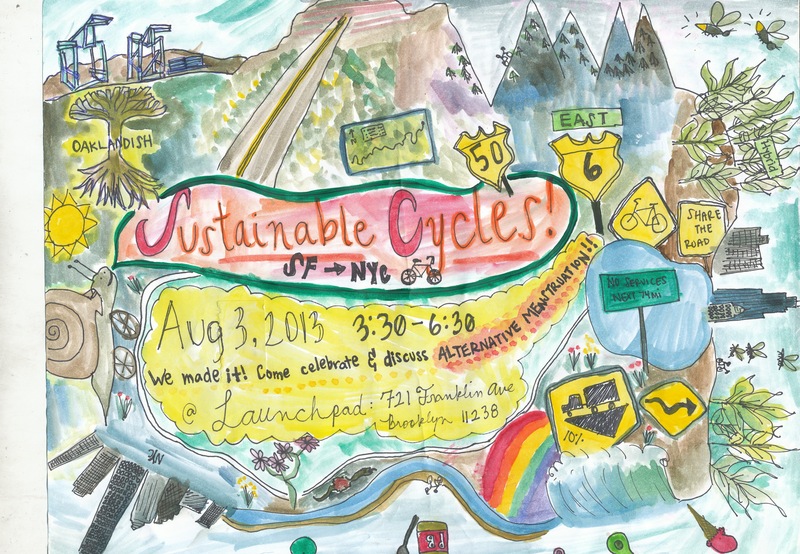 Sustainable Cycles, here we go! I write from the library at Colorado State in Fort Collins, CO. We biked here this morning with great weather. 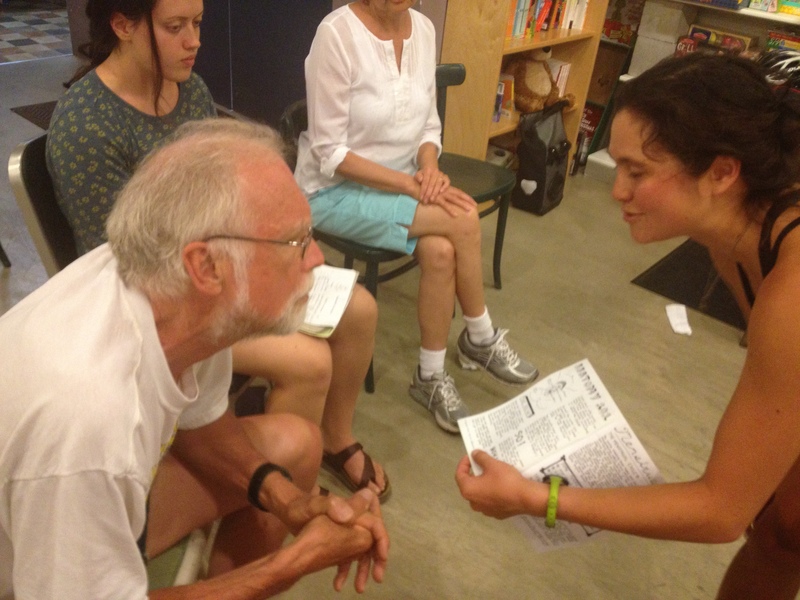 But what’s even GREATER than that is the workshop (well, 2 actually) that Sustainable Cycles put on yesterday in Boulder. The first was at the Boulder Valley Women’s Health Center, an organization that provides affordable reproductive and sexual healthcare to people. The workshop was held during lunch, so clinic workers trickled in and out during the hour. We had a great disscussion, and 5 people got new cups. Most exciting, though, was that 3 of those people are high school students! The clinic has a program with local high schools where “shapers” or peer health educators, hang out after school and talk health. None of them had tried a cup before, and I look forward to what comes out of their experience! They had some good suggestions like “You should instragram this” and getting more into social media to access the youth…instagram about your cups, spokeswomen! Second was at the Radish housing co op near the University of Colorado. 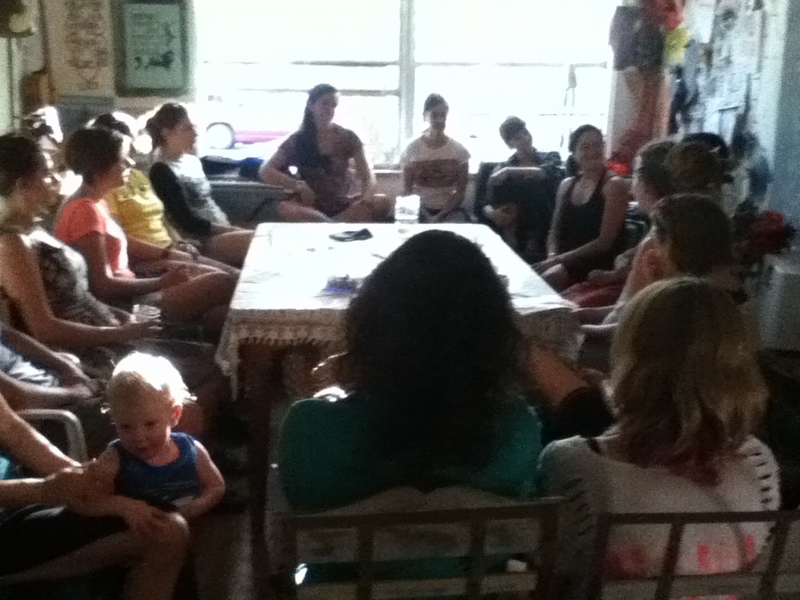 Over 20 people attended! I gave away about 10 more cups, and we had an almost 2-hour discussion about menstruation, menstrual products, birth control, sexual health, and health in general. I am stoked to create a space where people can talk freely about what’s going on with their periods, share experiences about methods of birth control, and ask specific questions about how to clean a cup or a cloth pad or a sponge! There were a range of people there–from mothers to almost-mothers to pre-menstrual (though she may have been dragged along by her mom :P). 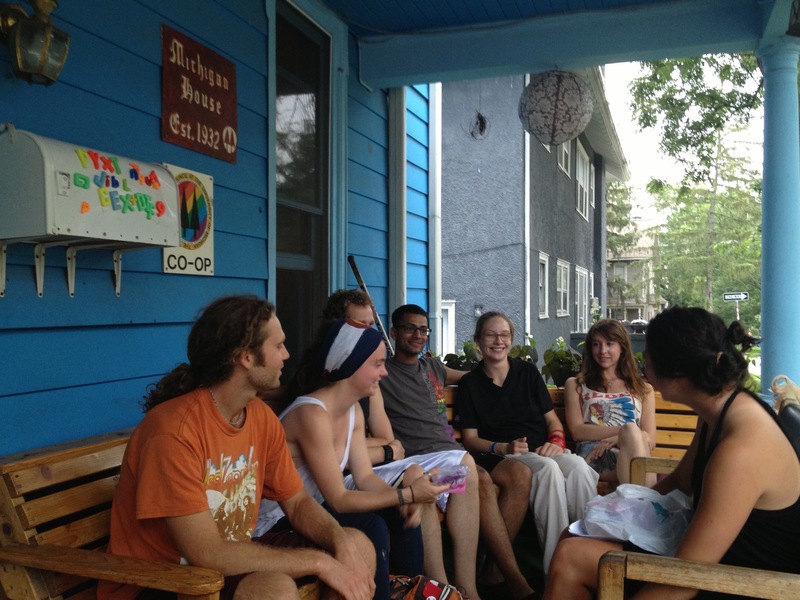 The workshop at Radish Co op–we all squeezed around a table in the living room. It’s exciting, it’s happening. I got many thanks for doing this project–and I thanked them for attending and sharing! 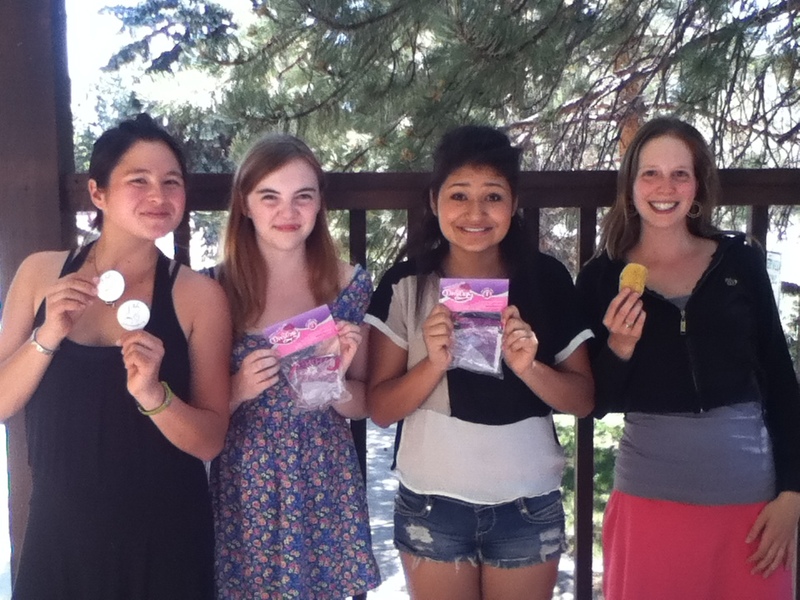 The goal of this bicycle ride is to get people talking and researching about periods, and to create a community to support each other in doing so. I think it’s working. I write from Littleton, Colorado, where we have spent 5 days vegging out, hanging with my family, and eating delicious Thai food cooked by my uncle! And also exploring Denver a little bit–going on a fun night-time party bike ride, checking out the local bicycle co op, and visiting the biggest REI I have ever entered (it has man-made white water rapids to test out rafts…) Tomorrow we’re off to Boulder, where I’ll be giving a talk at the Boulder Valley Women’s Health Center. Excitement! The hospitality we have encountered in this state is incredible. We’ve been taken out to dinner, offered showers, places to stay, and have been hooked up by total strangers–one person from warmshowers.org wasn’t in Colorado Springs when we needed a places to stay, but called his PARENTS, and they welcomed us even though they’d never done anything like that before. 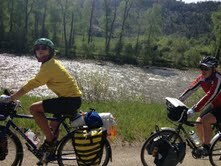 And, biking into Telluride, we got offered two places to shower within 10 minutes. 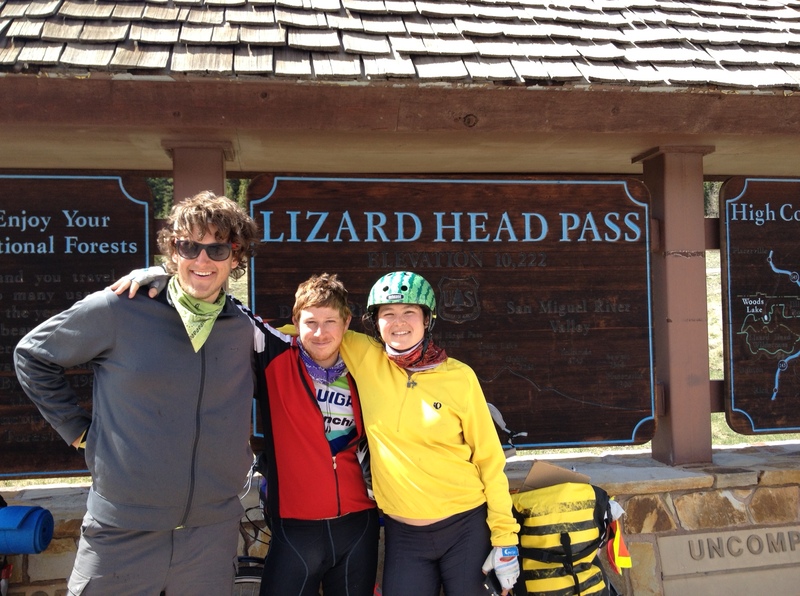 AND, a woman we met on the Dallas Divide Summit thought to connect us with her friends in Salida a couple of days after we met her. Colorado is treatin’ us great. Ok! Off to sleep–up in 6 hours to get on the bike again. It’s lovely to have so much water to bike by. No more 80 mile stretches of dry desert. 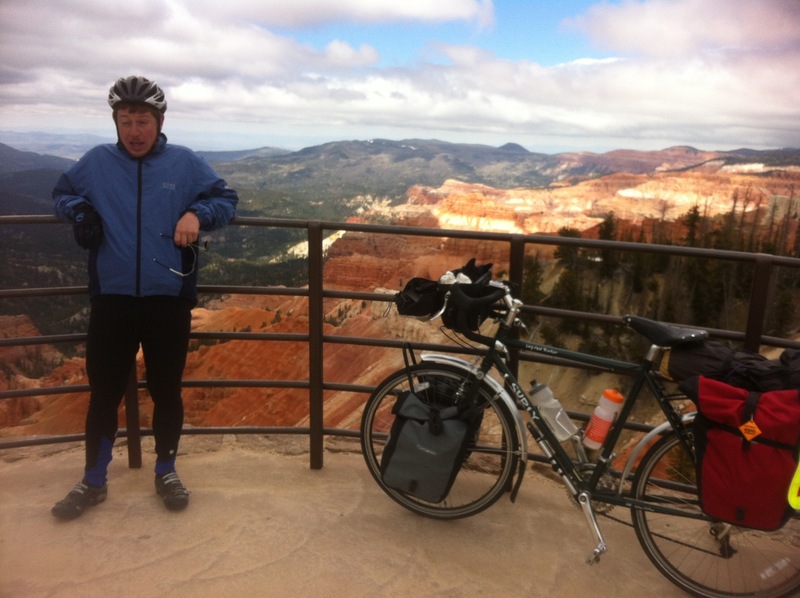 Going from Dolores to Telluride, we biked over a 10,220 foot pass. We slept at a bike mechanic’s house in Dolores–he just invited us to stay after we bought some supplies from him. A great welcome to the state. Gunnison, CO. After Utah’s 3% brewskies, the boys and I were glad to enjoy a nice Colorado cold one! Monarch Pass Day. Over 11,000 feet tall–our highest summit yet! We almost hit 50mph going down the other side. It’s a good thing our bikes were made for this! Very bike friendly mountain towns. Lots of art, lots of creativity, and lots of people who bike over mountains just for fun. I am sitting in the living room of a kind stranger found on warmshowers.org–that awesome website that connects bike tourists to people opening their homes to us. Showered, laundry drying, and resting now! Owen and I met up with Chris, another 23 year old biking to the east coast. It’s nice to have more company. Last weekend I got a little food poisoning, so Owen and I spent an extra day with a wonderful German exchange student in Cedar City who we found through couchsurfing. But! 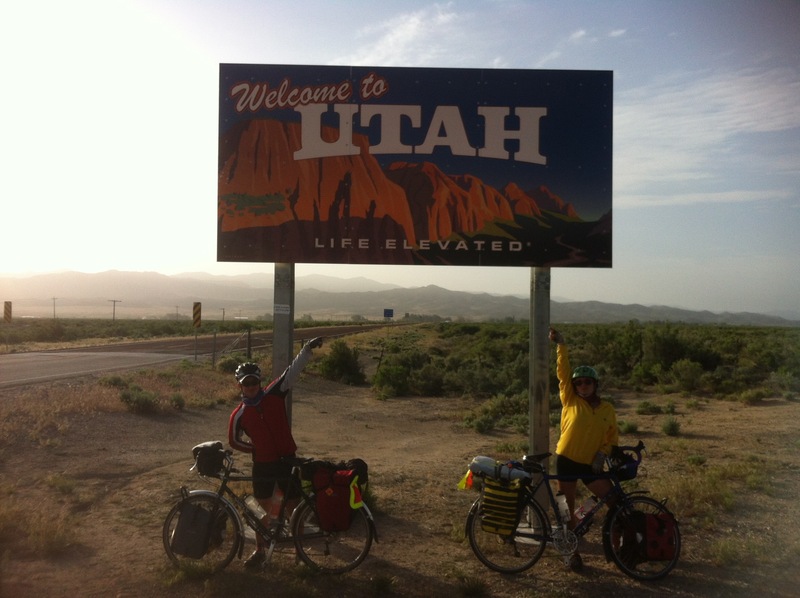 We have made up for lost time this week–our all-time high was 119 miles in one day! 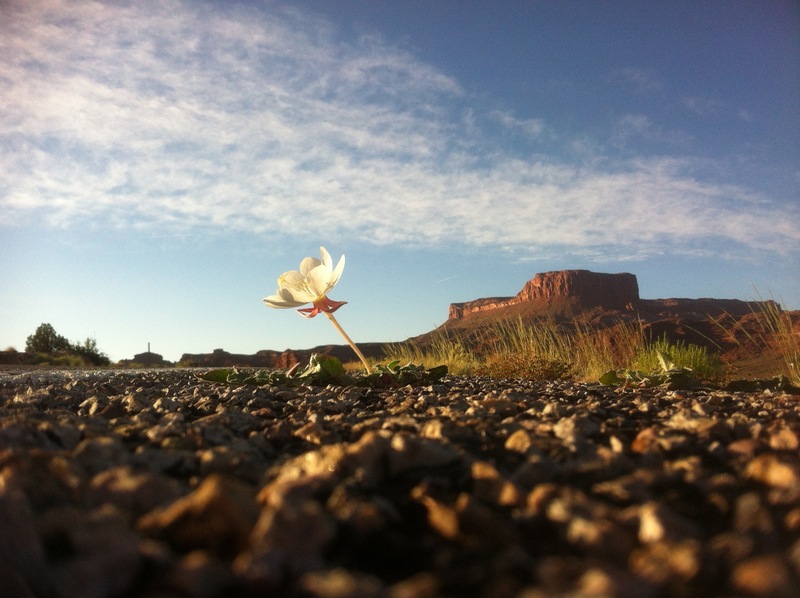 Utah is BEAUTIFUL. Tomorrow we’ll be in Colorado! Enjoy the photos. I can’t put captions on them, so guess where we are and what we’re doin’!